Excuse me Sir, I heard that T-LINE enclosures are very accurate, but people don't use them because they reqiure alot of space and are very hard to build. Is this correct. The easiest way to build them is to do a simple U- turn box, with the port/sub as close as possible, like this pic. By the way, this is my friends box, he made it, I just told him how, he did pretty damn good first time around. And I didnt ask him about posting it, sure he doesnt mind. But, the idea of a simple u-turn for the port/line design is just about the easiest design possible. 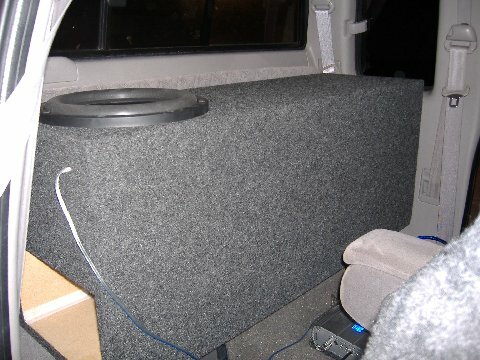 I'm gonna build me one of these for a 10" sub I have. They have always been interesting, but I didn't even know where to start with the box. I'll let everyone know how it turns out when I get it done. I would like to see peaks/dips, to get a better box built in the future to gain absolute max spl... Hell, my speaker wire Iam testing with is just 18 gauge, and is not even warming up yet... pretty funny if you ask me. dude i wish i could hear it. i needa build one someday just to experience it. maybe u can walk me through it??? :^ VERY INFORMATIVE AND PRECISE. I LIKE- ILIKE!! I'M IN ORLANDO WITH A CREW CRAB F-150 WITHOUT THE REAR SEATS. I HAD A WALL WITH 4 15 AUTO-TEK DUAL 4 OHM 15'S RUNNING OFF 1 AUTOTEK MEAN MACHINE 3000.1. I GOT TIRED OF THAT SET-UP AND SOLD IT. NOW I HAVE 2 RF T2000.1'S TO RUN 2 18'S(NOT SURE WHICH SUBS) THINK I HAVE ENOUGH SPACE TO GET A T-LINE ENCLOSURE FOR TWO 18'S??? KEEP N MIND I HAVE A 4 DOOR CREW CAB F-150 WITHOUT THE REAR SEATS, IF SO I'LL BE WILLING TO PAY FOR IT. 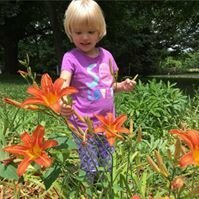 Sent you a PM about this, but figured you may want to address it here also. I run no bass boost at all, and my new subs have an Fs of 27hz, which makes the t-line way too long for what I'm trying to do. Can I design it around 35-40hz anyway, since according to your tutorial, it hits a full octave under the tuning, and I really don't need anything that hits much under 25-30hz anyways.